Sangiovese reigns supreme in Chianti Classico. This year’s crop of new releases focuses on the 2012s and 2011s, wines from harvests that produced radiant, expressive reds with plenty of near and medium term appeal. Growers describe 2012 as a year with uneven ripeness, the result of a season with start-and-stop conditions. As early as the spring, Chianti Classico was experiencing an unusually warm and dry year, with virtually no rain. When I visited the region in April, producers were very concerned about the drought-like conditions. A few weeks later, rain arrived and pushed back the start of summer with cooler than normal temperatures that lasted well into June. Warm weather returned with a vengeance in August, especially during the first half of the month, which was quite hot. Rain at the end of the growing season, right around harvest, complicated the final phase of ripening at some estates. Yields are down across the board. Some growers believe that the vines set low crops in response to climatic conditions, while others reported everything from hydric stress to fruit drying out on the vine because of the intense heat in August. Based on what I have tasted so far, 2012 appears to be a vintage of mid-weight wines, most of which are built for the near and medium term. The wines have lovely radiance, but not quite the opulence of the 2011s nor the classic sense of pulsating vibrancy found in the 2010s. I expect we will see most of the top labels in 2012, although production will be down, as this is a vintage that is going to require a bit more selection in the cellar. By now, readers have had a chance to taste the straight Chianti Classicos. The warm, precocious vintage produced a set of ripe – at times exotic – wines, with tons of resonance and volume. 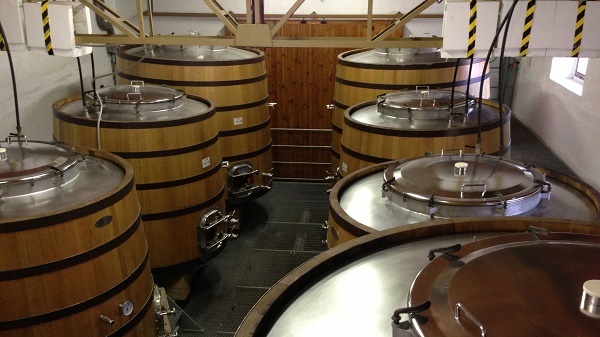 Although the 2011s drink well young, a few years in bottle will help the wines integrate as the baby fat melts away. Sangiovese by nature has a good amount of acidity that helps the wines retain a sense of freshness, something this vintage needed. The best 2011s will drink well young and also age gracefully. This year, consumers will find an increasing number of wines being marketed under the new Gran Selezione designation. As I wrote last year, there is reason to be skeptical of this addition to the hierarchy in Chianti Classico. To better understand the Gran Selezione, some perspective might be in order. The image of Chianti Classico has long been under assault by an ocean of inexpensive wines that end up deeply discounted on supermarket shelves or sold in less developed markets. The poor quality of these wines continues to be seen as a major threat to high-quality Chianti Classico. In truth, many regions face a similar dynamic, whether it is California with inexpensive Cabernet Sauvignon, Piedmont with industrial level Barolo and Barbaresco or Montalcino, with cheap Brunellos that set a low floor of pricing, and therefore image, for the entire region. 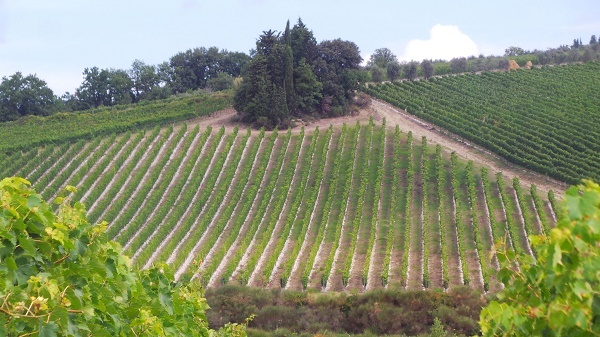 In order to separate themselves from the more commercial, industrial producers, a group of wineries in Chianti Classico proposed the idea of Gran Selezione, which at its core, specifies that wines must be made from estate-owned vineyards. That seems reasonable enough. 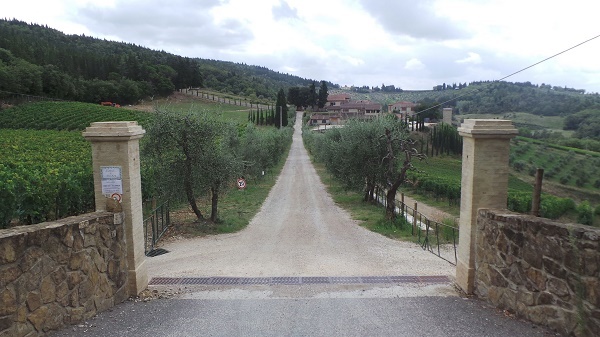 The idea was that Gran Selezione would sit at the top of the hierarchy in Chianti Classico, above Riserva, and would only be available to quality-minded producers. Thus, Gran Selezione was born. There are just a few issues. What producers want and what the market wants are two different things. Producers created a designation that suits them, not that suits the market. Why? Generous EU subsidies create an environment in which wineries and estate owners are often out of touch with the public, in other words, the consumer who actually buys and drinks their wines. Do you want to know how much EU taxpayer money is being spent to promote Gran Selezione and Chianti Classico around the world? No, you probably don’t. The market, defined as consumers, buyers, sommeliers and other thought leaders, wants something more. We want to understand what is unique about Radda, Gaiole and Castellina. What are differences between Chiantis from the province of Florence and those from the towns closer to Siena? As a consumer and lover of Italian wines, I have spent a lifetime trying to understand those nuances. But the producers themselves don’t want us to have that knowledge. Why? Mostly out of fear of being classified into a second or third tier of quality. Of course, there is one very easy way to fix that. Make a great wine and no one will really care where it was made. So, we have Gran Selezione. Interestingly, not all producers are labeling their top wine(s) as Gran Selezione. I wonder why. Well, it is actually pretty simple. Any producer in Chianti Classico who is not using Gran Selezione for their best wine either does not truly believe in the designation and/or is bottling a Gran Selezione only to appease their colleagues by appearing to support the initiative. On the other side of the debate, some producers believe the Gran Selezione is the first step towards more village-specific designations. I will believe it when I see it. Castello di Ama is making a bold statement by releasing three wines as Gran Selezione; a Riserva and the dual flagships Bellavista and Casuccia. The same is true at Fèlsina, which has shown the remarkable courage to introduce a new wine, Colonia, above their iconic Rancia, one of the most universally admired wines in all of Italy. That level of conviction is, sadly, shared by few estates. Other producers are sending a much more mixed signal. Fontodi’s Vigna del Sorbo goes from Riserva to Gran Selezione. The wine is exactly the same as before. What is the point? Most people consider Flaccianello to be the flagship wine here (although I do not), so why isn't Flaccinello a Gran Riserva? As the saying goes…it’s complicated. More on that below. San Felice’s Gran Selezione Il Grigio is a newly-created. mid-tier bottling, a decision that shows a clear lack of conviction. Antinori’s contribution to Gran Selezione is the Chianti Classico from Badia a Passignano, arguably the least well-known wine in their lineup. 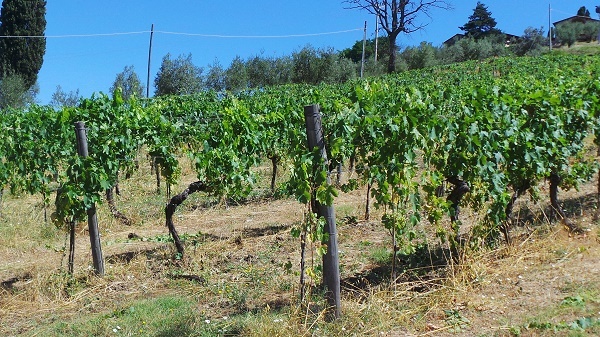 A number of top-notch estates have not adopted Gran Selezione for any of their wines, including Isole e Olena, Castellare, Querciabella and San Giusto a Rentennano. Then we have the IGTs. Wines such as Tignanello, Cepparello, Percarlo and others, including the aforementioned Flaccianello, could all be sold as Chianti Classico Gran Selezione. What are the odds of that happening? Practically zero. Those wines have all achieved a level of recognition and pricing that supersedes the Chianti Classico region, so there is no incentive for any of those producers to change a thing. Lastly, in order to be sold as Gran Selezione, the wines must be tasted by a panel that evaluates wines according to a list of technical and qualitative criteria. Based on what I have tasted thus far, technical criteria clearly prevail, as I have run across a few Gran Selezioni that aren't deserving of any special status at all. Rather, they hurt the perception of the best wines in the category. It will be interesting to see how the market accepts the Gran Seleziones. At the end of the day, there is no shortcut to achieving recognition and prestige in the market. Today’s consumer is very savvy. Quality will always triumph over mediocrity, regardless of how a wine is labeled. Sangiovese – One of the World’s Great Varieties? 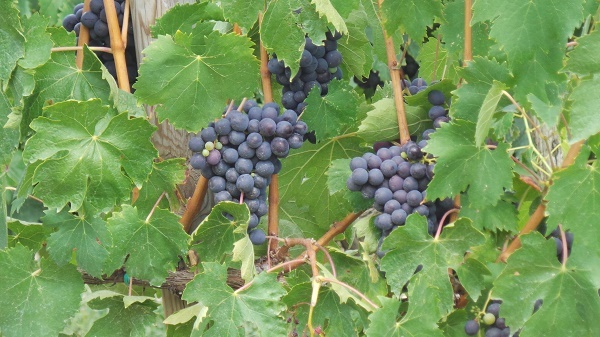 Sangiovese is a very difficult grape to grow. That is pretty much universally accepted. It is quite sensitive, and only gives good results in specific sites. Vines tend to naturally produce high yields, bunches are irregular and ripening can vary greatly, even within the same row and plant. At the same time, Sangiovese has that one single element it shares with the other great varieties of the world – namely the ability to transmit a sense of place…something about where it is from. In Tuscany, but particularly in Chianti Classico, Sangiovese has a home to which it is ideally suited. I have seen the best Sangioveses sit comfortably side-by-side with the world’s greatest wines. Simply put, in Chianti Classico I see a region with extraordinary potential, although much of it remains untapped. The first step is gaining a better understanding of sites, microclimates, terrains and all the other variable that ultimately shape what goes into the bottle. As good as the best Chianti Classicos can be, prices for the top wines have also increased over the last few years, as the cream rises to the top. Readers looking for everyday values will want to look beyond Chianti Classico and into the broader Chianti appellation. The wines might be less pedigreed, but I can’t imagine that matters a great deal for bottles that are best enjoyed a few years after release. Specifically, producers such as Piazzano, Marchese Torrigiani and Giacomo Mori make delicious wines that won’t break the bank. Rùfina excels with more lifted, lithe, perfumed Chiantis full of personality. And that is just the beginning. There is so much to learn and explore in these picturesque hillside vineyards. This is the first in a series of articles focusing on new releases from Tuscany. Reviews for the Tuscan Coast and other smaller appellations will follow shortly.